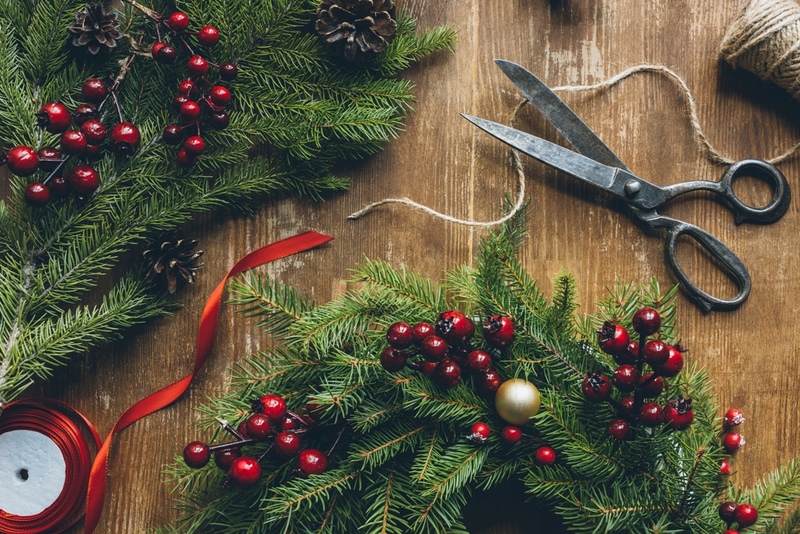 Join us for our Christmas Workshop Series at the Market! Each Friday evening, during the holiday season, we’ll be offering a different Christmas themed workshop. Since the Market will be open late these nights, grab some dinner before or after the workshop, and do some Christmas shopping too! Platinum Floral Designs will help you to create your very own hanging mistletoe decoration! Take it home and hang it in up to guarantee you’ll get some Christmas smooches! Platinum Floral Designs will provide you with the materials, and instruction, needed to create the perfect Christmas wreath! Platinum Floral Designs will show you how to make a truly unique Christmas Centerpiece that is sure to wow all of your holiday guests! Knotty & Nice will guide you through creating your very own Macrame wall hanging! The perfect gift for those hard to buy for people on your shopping list! Join David Mincey of The Chocolate Project for a special tasting of some of the world’s finest chocolate. This intimate class will cover many aspects of the chocolate industry from harvest and manufacture to the fine details a professional chocolate judge looks for in a bar. In under an hour we will completely enhance your appreciation for what is truly the “Food of the Gods”. All workshop participants must pre-book their spot by purchasing a ticket.